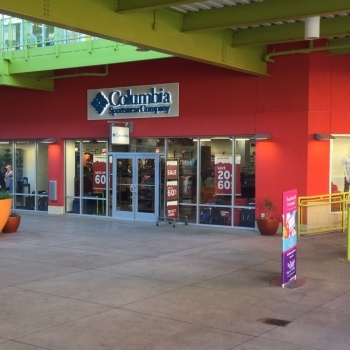 The Columbia Sportswear outlet is located in the Houston Premium Outlets, just a short drive northwest of Houston. Situated at the top of the spectacular Texas Gulf Coast, Houston offers the best in big city entertainment, sports, cultural arts, and shopping, dining and vibrant nightlife, with miles of sandy beaches nearby. Columbia has been creating innovative apparel, footwear, accessories and equipment for outdoor enthusiasts since 1938. Columbia has become a leading global brand by channeling the company’s passion for the outdoors and innovative spirit into technologies and performance products that keep people warm, dry, cool and protected year-round.